Christianity (29%), Islam (20%), Animists (51%). mineral fuels, mineral oils and products of their distillation; cereals and preparation of cereals cotton; articles of apparel and clothing; iron and steel articles; man-made filaments; man-made staple fibers; rubber and articles thereof; vehicles and parts and accessories thereof, etc. Coconuts, natural calcium phosphates, wood and articles of wood; ferrous, cotton, copper waste, aluminium waste; other metal scrap; oil seeds, brazil nut etc. 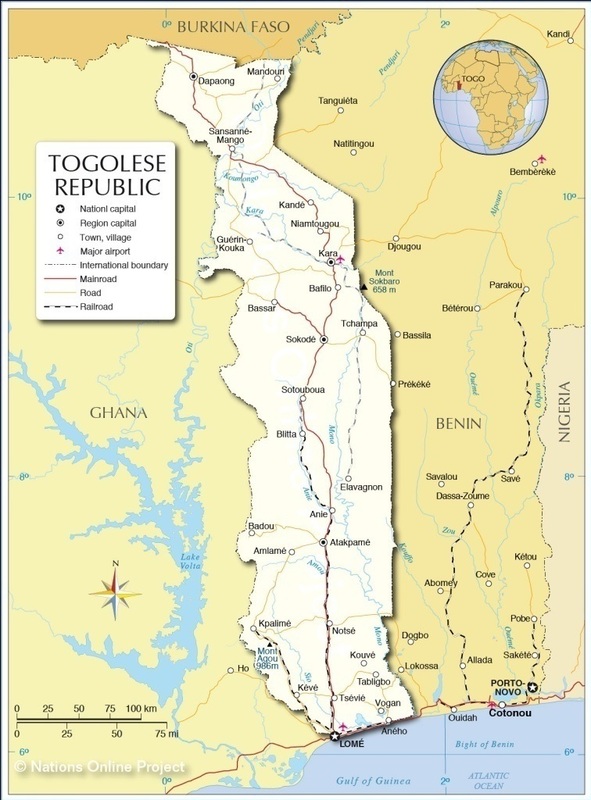 There are around 400+ Indians living in Togo; only 5 of them hold foreign nationalities. Majority of them are businessmen, engaged in trading, assembling, running super markets, hotels, etc.